I have accepted all the deposits I’m going to take for the moment. There will more than likely be one male and one or two females remaining for sale. We won’t know until April 6th when puppy pics will be made. Go home date is April 20th. There is a $200.00 non refundable deposit to hold your choice and these pups will be sold on limited registration for $1200 ( Unless otherwise discussed in advance. ) 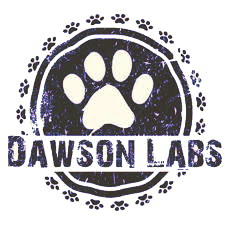 Available Lab Puppies for sale in Kansas City Missouri. We normally have availability in the Spring and Fall or Winter time. 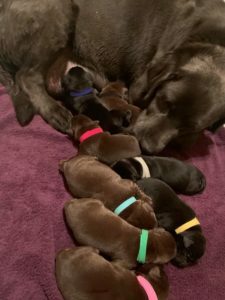 Since we only have 1 – 3 litters a year we don’t really like to make out waiting list, many times people find a puppy before we have one available. If you want to wait we are happy to let you know when litters are coming and keeping in contact via Facebook is one of the easiest methods to ensure you get on the list when the pups are actually born. Either way let us know if you’re interested we would love to talk to our future fur friend family members in advance! Drop us a line anytime, and I will get back to you as soon as I can!